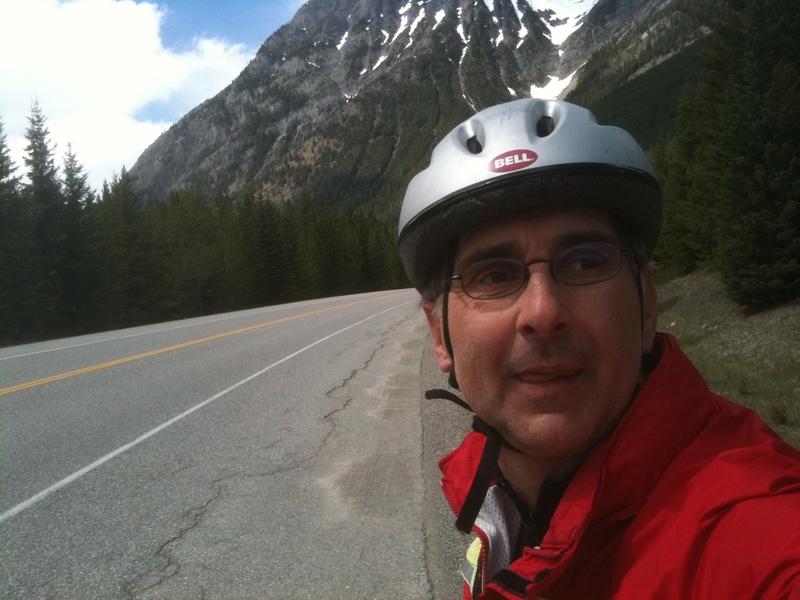 Randy Talbot is an avid cyclist and cycling advocate from Edmonton, Alberta, Canada. This blog is about the world of cycling from his perspective. A lifelong cyclist, Randy uses the bike for fitness, travel, relaxing and getting around town. He also enjoys following cycle racing. If it on wheels and human powered, Randy’s interested. Most of these trips were self-supported, camping trips with occasional hostel or bed and breakfasts. Randy has also done many day and supported weekend trips with the Edmonton Bicycle and Touring Club (EBTC). Randy has served on the executive of the EBTC as treasurer and newsletter editor. Randy loves cycling (particularly touring) for it where it takes him and what he sees. Capturing his adventures with photography is always part of the experience. On this blog you will see many of his photos to help tell the stories. More of Randy’s photos (a number of cycling images but lots of other subjects too) can be seen on his Flickr photostream. Zen Cyclist? – Zen is defined on the belief of enlightenment through meditation. Randy finds the process of cycling (especially on the open road) to be a very meditative practice and indeed an enlightening activity. The blog title is also a tip of the cycling cap to one of Randy’s all time favorite books, Zen and the Art of Motorcycle Maintenance Although the mode of transportation in that epic story was motorized, it was still two wheels on the open road, man and machine – a journey for enlightenment – Zen. Of course this blog will also look forward to plans for future adventures and discuss anything to do with cycling from topical issues, to books and magazines, to equipment. As one can not live by cycling alone, so blog topics also address cross-training activities such as running and cross-country skiing . Randy has ran and completed four marathons and numerous other road races. Would you be able to suggest a safe cycling route from St Albert to the University hospital? Thanks! Thanks for replying. When you did the 70k ride and you crossed Groat road where did you gofrom there to get to terwillegar? Did you go through Buena Vista Park and then Laurier Park to cross Quenelle Bridge? I am sorry I just don’t know that area very well.